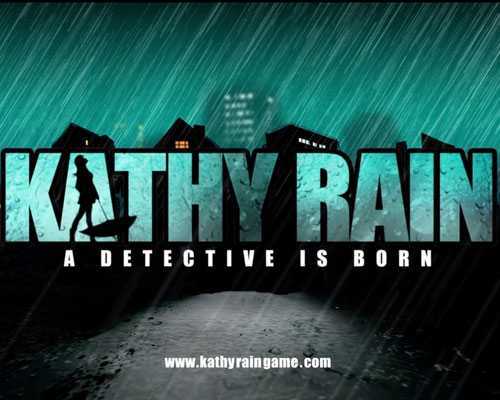 Kathy Rain is a Puzzle and Adventure game for PC published by Raw Fury in 2016. You will control a journalism major during a long story. Her grandfather had a mysterious death. Now, You have decided to figure out that what have happened before his death. Will you be able to solve the complex puzzles? You don’t have so many clues on your hand. But player has to start by using one of clues. The only things that you have at first, Are a pack of cigarettes, A Motorcycle and a notepad. When you find any clue in an unique place at Kathy Rain, You need to go there by your motorcycle as fast as you can. Your grandfather’s name was Joseph Rain. He was looking for something special in his office. No one has discovered what happened that night but they found his dead body tomorrow. After this accident, Some people became mad too. Now, You have to find all of the reasons about these happenings. Kathy Rain includes more than four thousands dialogues. So, There are lots of characters that you will face them during the story. Some of them can help you so much to find new clues. But you need to talk them wisely. This game also has more than forty unique environments which are in 320×240 resolution. It doesn’t have high graphics but you will enjoy its gameplay so much. This game’s plot is set in the 90’s. So, You won’t have modern items which you can see them nowadays in the real world. If you’re ready to explore lots of challenging puzzles, Try this puzzle adventure game for free. 5 Comments ON " Kathy Rain Free Download "